The Periodontal Recall Exam form has spaces to record the results of up to six follow up exams. 100 forms per tablet. 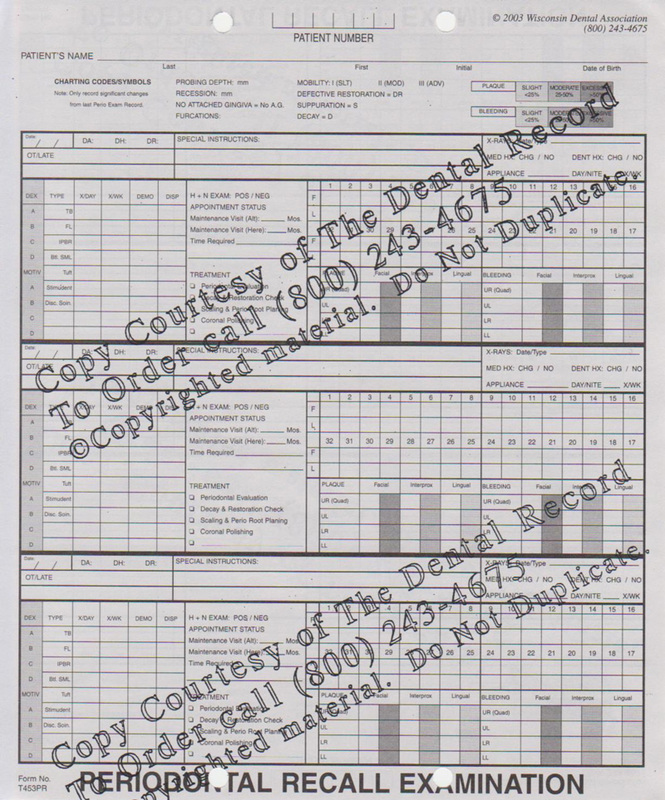 This form is a condensed version of the Periodontal Exam form with space to document findings of six follow-up exams.